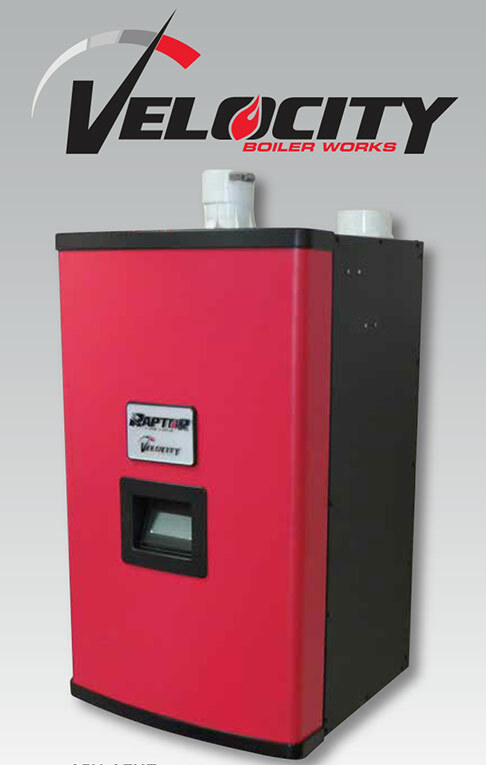 Raptor fire tube boiler from Velocity Boiler Works is now available from Hydro Pump. The Raptor is a 95% AFUE stainless steel fire tube boiler with a 5:1 turn down ratio. It is field convertible from natural gas to propane. It comes in five sizes 85, 110, 155, 205, and 270 MBH. The 155 MBH boiler is also available as a combi unit with the thermostatic mixing valve and braze plate heat exchanger built in for domestic hot water.